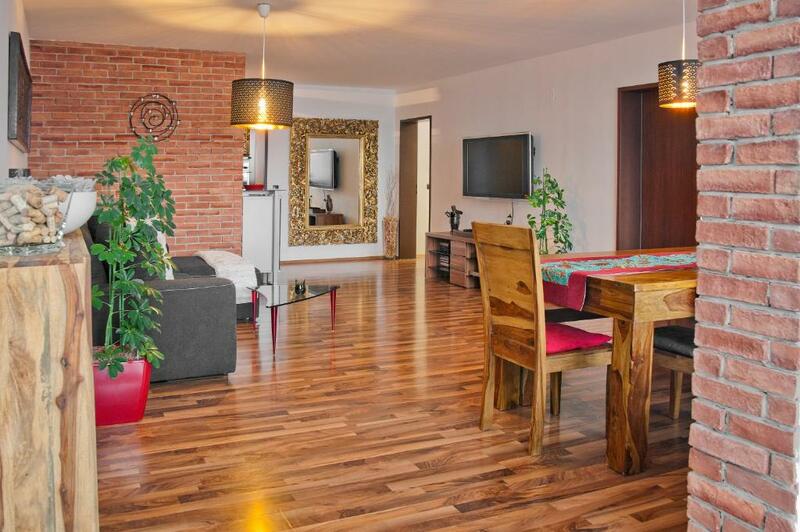 Fantastically located, close to public transport with nearby supermarkets and cafes/restaurants. The apartment is spotlessly clean and perfectly equipped. Svetlana was an informative and attentive host. Would definitely stay here again. I briefly mentioned we will use the apartment for a business conference call meeting with our oversees colleagues and the owner provided notebooks and pens. Very thoughtful and proactive. It came handy. Much appreciated! Very good apartment. Great comfort. Clean. The owners are very polite and forthcoming. Close to the metro for quick conection to the center. huge apartment, great location, very nice landlord. Our family - 3 adults and 1 children (12 years) stayed in the apartment for 3 nights in March. The apartment is well decorated, big and clean. Comfortable beds. Fully equipped kitchen with a complimentary choice of tea from the host. 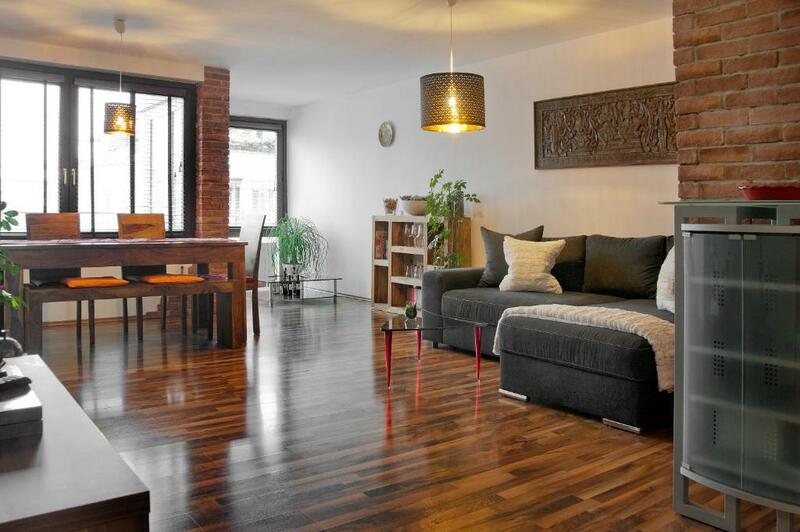 Good location - 5 min walk to the underground and train station. Some grocery shops around - Lidl, Billa, Eurospar and nice bakery Anker. Free high speed Wi-Fi. Underground car parking is available for 15 euro per night. Hospitality is wonderful. Svetlana, owner of house, welcome people with a big smile. And they think everything you need it. It is like a comfortable hotel. If i go again, i stay at there with inner peace. It was a really nice experience. And the residence is near to the center. This is also a good feature. 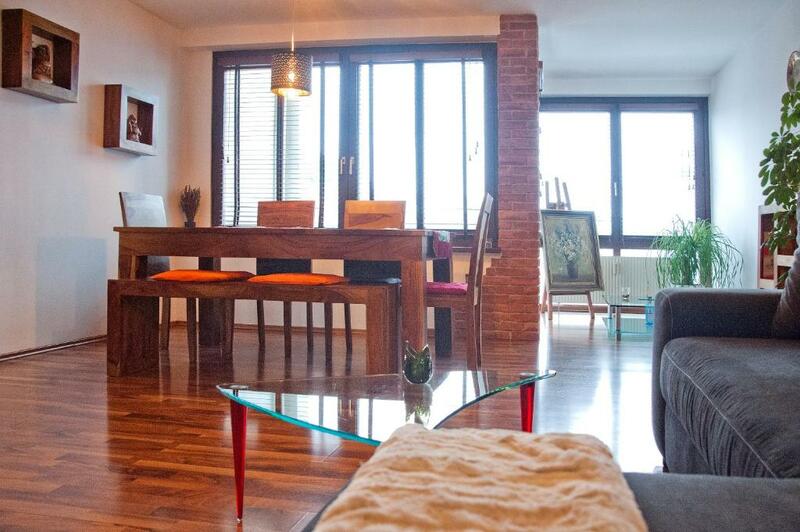 Gorgeous apartment with admirable design and a lot of space. One of my best rent experience. Special thanks to Svetlana for warm welcoming and hospitality, very kind and polite lady, always in touch and assisting. Welcome amenities and attention to small details make the mood. 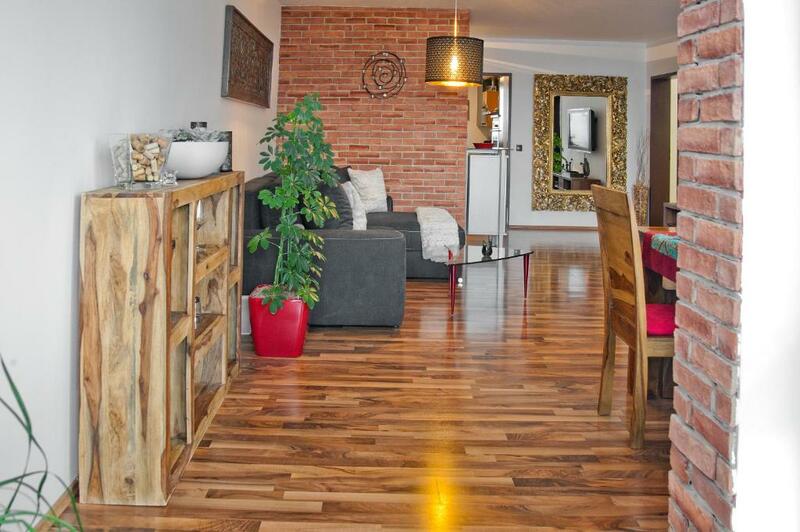 Private parking, food market and underground in walking distance are undeniable advantages. Definitely recommend to everyone! Everything was wonderful, the apartment is very clean and spacious, equipped kitchen, we communicated easily with the hosts. I definitely recommend this apartment. 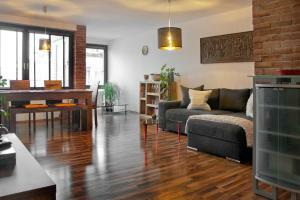 It was spacious, comfortable and clean apartment. All the facilities were well equipped and the decor was nice. The apartment was well decorated with various and wonderful props. The landlord kindly explained well. There were many markets around and the Italian restaurant was really good. I had to walk a little to get public transport, but it was fine. The parking fee was 15 euros a day which was a little expensive, but I was satisfied with the safe and underground parking lot. If I have a chance to come to Vienna next time, I will stay in this apartment again. This apartment has a bunge of adventages, the biggest one is probably its location - there is a underground station, bus stop and a tram stop in just a few minutes walk, however (if there wasn’t snowing so much during our stay) you can get to the Stephanplatz in about 20 minutes on foot. In the neibourghood, there are two supermarkets, cafes and a bakery with delicious crossaints. 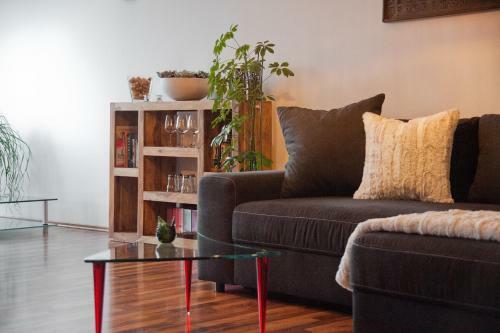 The apartment was extra clean, spacious, fully equipped and super cozy. Norbert is an extraordinarly friendly host - he gave us recommendations about his favourite restaurants and useful information what to see in the neibourhood etc. 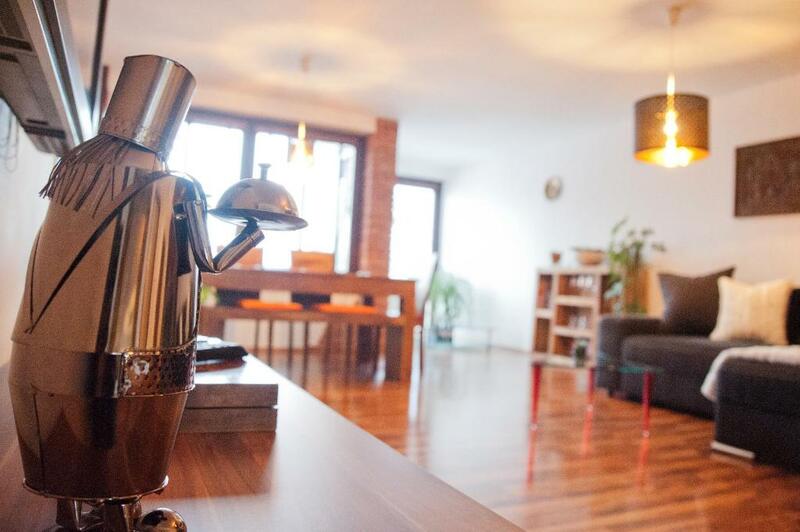 We were really satisfied with our trip to Vienna and we definitely recommend this apartment to everyone. 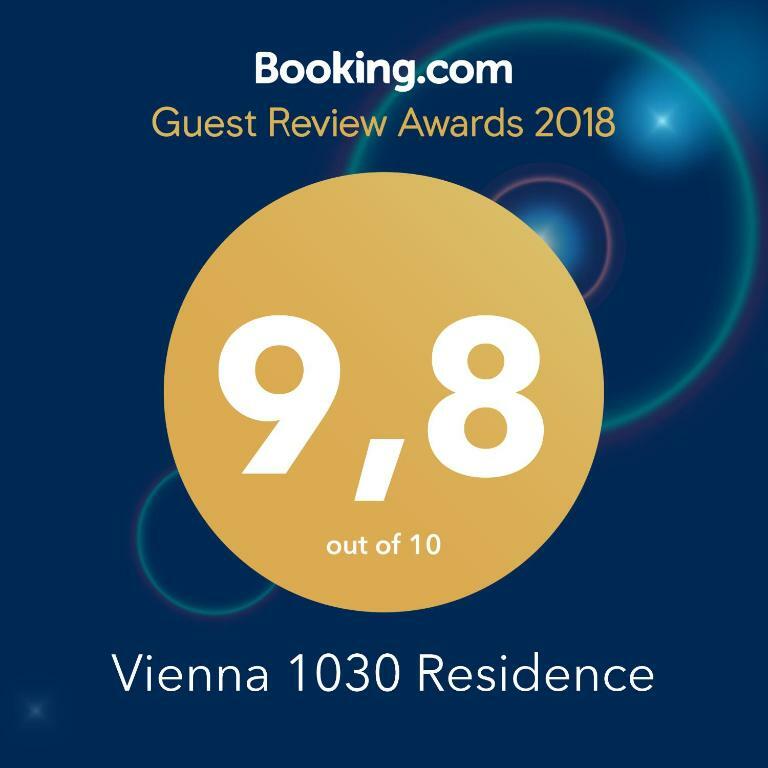 Lock in a great price for Vienna 1030 Residence – rated 9.8 by recent guests! One of our top picks in Vienna – and a guest favorite. 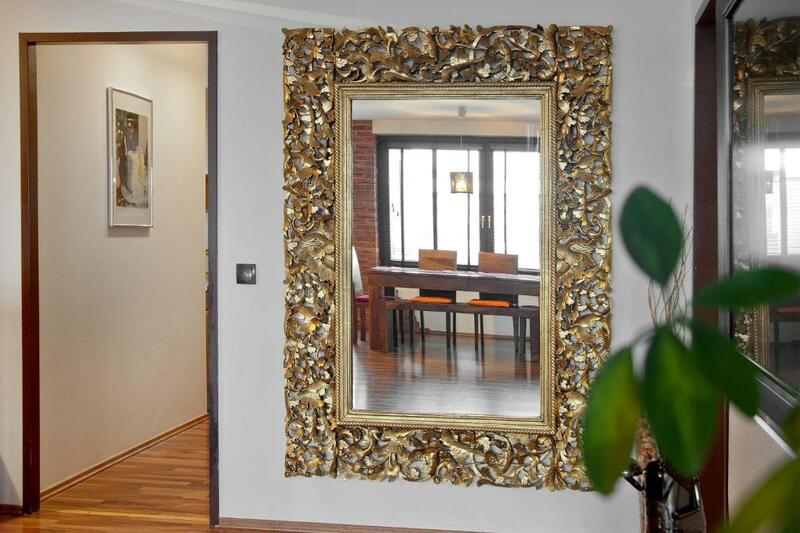 Vienna 1030 Residence offers accommodations in Vienna, 1 mi from Belvedere Palace. The air-conditioned accommodations is 0.9 mi from Rochusmarket. The apartment has 2 bedrooms, a living room, a fully equipped kitchen with a dining area, and 1 bathroom with a bath. A flat-screen TV is featured. Stadtpark is 1.4 mi from Vienna 1030 Residence, while Karlskirche is 1.6 mi from the property. 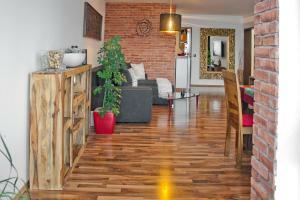 The nearest airport is Vienna International Airport, 9.9 mi from the accommodations. When would you like to stay at Vienna 1030 Residence? For twenty years this appartment was our home, now it is our goal that visitors from all around the world will enjoy their stay in Vienna there. The appartment is very centrally located, surrounded by good infrastructure (shops, supermarkets), and yet very quiet, since the large courtyard is a veritable green oasis. Bus and Underground are just minutes away and can take you fast to the city center or the Vienna Prater. Svetlana and I love to travel, therefore we know, how important it is that one feel well in the chosen accommodation. We will do our best to make your stay as comfortable as possible. The street, where the appartment is located, "Landstraßer Hauptstraße", beckons with many shops, cafes and restaurants. A traditional Viennese market - "Rochusmarkt" is just within a 10 minute walk. We loved this market with its cafes and fresh produce. A little further down the street is "Wien Mitte", a mall that also houses an underground station and the "CAT - City Airport Train", which brings you in 16 minutes nonstop to the Vienna Airport. A few steps further down the road is the Vienna Ringstraße, a circle around the old town, on the Ringstraße you can visit many famous sights and museums. If you are more in the mood for a walk in green nature, the Donaukanal offers beautiful walkways right to the city center. The Vienna Prater with the Ferrous Wheel, Entertainment, but also its parks and meadows, is only 10 minutes away from the appartment. Area Info – This neighborhood is a great choice for travelers interested in old-town exploration, architecture and city walks – Check location Excellent location – show map Guests loved walking around the neighborhood! House Rules Vienna 1030 Residence takes special requests – add in the next step! Please inform Vienna 1030 Residence of your expected arrival time in advance. You can use the Special Requests box when booking, or contact the property directly using the contact details in your confirmation. There is nothing which we do not like. I told my landlord that I checked out at 11 am, but my landlord 's colleague was a little embarrassed when she came 30 minutes earlier. It was a little inconvenient because there was only one bathroom in a spacious apartment. Good location, very clean. Very nice host with good advices concerning our trip. Amazing place for a holiday with family. The thing we liked the most was that we really felt at home in the appartment. The inside of the appartment was really cosy maybe partly because they used to live there themselves and there are some items left in the appartment to show for it. Svetlana made sure that everything we could have wanted (and more) was provided in the appartment and she gave us a very warm welcome. All sorts of welcome gifts were spread out through the appartment like chocolates and water by the bed, drinks and something to eat in the kitchen and all sorts of crèmes, soaps etc. in the bathroom. A lot of extra’s that you don’t get everywhere. The appartment was really cosy, clean, warm and spacious. In the evening it was also a nice place to relax. Especially tucked in with the blanket on the couch. The kitchen is fully loaded with everything you might possibly need. So we also made our own meal. The subway/metro is about 8 min. walk from the appartment and also busses are near. If you like to walk, you can also walk to the citycentre. It’s about 30 min. and you can just follow the road the appartment is in. Just step out into the street, turn left and start walking. Near the appartment there are a few supermarkets so you can buy anything you might need. On sunday the supermarkets in Vienna however are closed so keep this in mind. To sum everything up - we really enjoyed our stay at this appartment and recommend it if you are thinking about visiting Vienna!